In one sentence: its a grid of energy transmitters on the ground that beam their energy towards the sky in order to change the weather, trigger an earthquake, trigger a volcano eruption, or dissolve a storm system. Hard to believe right? But if you’ve come this far, you already know that the U.S. Military is always 30-40 years ahead of the general public when it comes to technology. An aerial view of the H.A.A.R.P. facility in Gakona, Alaska. Now you see what I mean by a “grid” of radio wave transmitters. 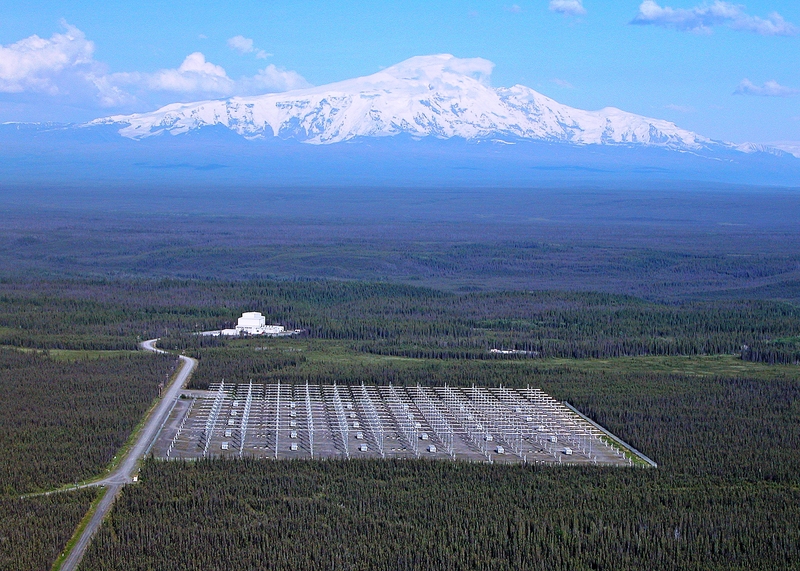 There are 180 antennas over 33 acres of land(HAARP wikipedia). The best part is, it seems that the facility in Alaska is just a cover for the HAARP program as a whole. What do I mean? Well, whistleblowers have claimed that the US Military has multiple unnamed offshore islands with HAARP facilities on them, and several underwater arrays also. You think that sounds crazy, just wait til we look at some of these Google Earth photos and video evidence backing up their use. Remember, the military is years ahead of the general public….